why should i treat my unhealthy veins? 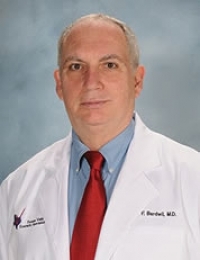 » Watch Next Video by Michael F. Bardwil, MD - How are varicose veins and spider veins different? Why should I treat my unhealthy veins? The reasons for treating these is that patients oftentimes will have symptoms of achiness, tiredness, pain, pain particularly at nighttime. Once you begin to develop bulging veins, you will oftentimes develop the swelling that goes on with it and this then may lead to skin discoloration as well as skin thickening due to the longstanding pressure from the veins not emptying properly in your leg. The treatment for veins is elimination. There are two systems of veins in your legs; deep veins and superficial veins. The way that we distinguish them are, the deep veins are beneath the muscle and superficial veins are above the muscle. If a vein is a superficial vein, and if the deep system is intact, then the superficial vein is expendable and we can safely eliminate that vein without any detrimental side effects.